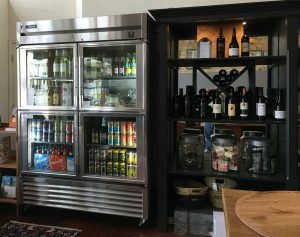 Local Wine and Craft Beer Now Available! Gästehaus Schmidt now sells wine from local vineyards and craft beer from regional breweries. You can find wine from William Chris Vineyards, Grape Creek Vineyard, Lost Draw Cellars, Lost Oak, Brennan, and McPherson wineries. Local craft beer from Altstadt Brewery and Pedernales Brewing are available as well as beer from Save the World, Real Ale, Independence and Uncle Billy’s breweries. You can also pick up Dublin Dr Pepper and Mexican Coca Cola sweetened with sugar instead of corn syrup, and Choco Tipo mineral water. Pick up your beverage of choice when you check in! /wp-content/uploads/logo-new4.png 0 0 Jeff /wp-content/uploads/logo-new4.png Jeff2017-11-08 12:13:412017-11-08 12:38:20Local Wine and Craft Beer Now Available!